Hello and welcome to MadameNeedle store! I'm Ksenia and I'm happy to receive, process, package and ship orders for you! I started this internet sales business just in 2010 from couple sales in USA but right now we have customers all over the World! That's all became possible thanks to my Family! What was the idea?- "To have a great opportunity owning business and to meet people around the world. 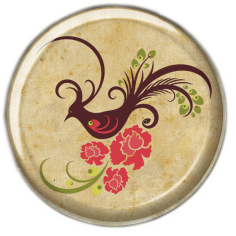 Bringing all the best from cross-stitch, ribbon embroidery, Stitchery and Needlepoint!" Today it is so easy thanks to internet!